On 15th September the International Criminal Court broadened its process for selecting and prioritising cases to include land grabbing and environmental destruction. The decision presents an opportunity to curb the deforestation and rights abuses driven by illegally-issued agricultural concessions in Cambodia, likely to be the court’s first credible case. It also has important implications for other countries suffering from the worst excesses of illegal deforestation. Neil Loughlin and Tom Johnson report. In May 2012, a 13 year-old girl named Heng Chantha was shot dead when security forces armed with AK47s stormed her village in central Cambodia, Her family and their neighbours were pushed violently off the land to make way for a rubber plantation. Nobody was ever prosecuted for her killing. Instead, the Cambodian Government tied the case to spurious allegations of insurrection, which it used to jail an outspoken democracy activist and radio station owner who had reported on a claim made against Cambodian Prime Minister Hun Sen at the International Court of Justice. The case reminds us of two things about Cambodia that, as of last month, may hold new resonance for the country’s crony capitalists. Firstly, that horrific crimes have been inflicted on Cambodian citizens in order to facilitate the transfer of land and resources to well-connected companies. Secondly, that this has taken place with impunity, with the Cambodian judicial system institutionally corrupted to the extent that it has become complicit in the crime. Hundreds of thousands of Cambodians have been displaced by the same system, employing the same methodologies, that resulted in Chantha’s death. Rather than providing any form of respite, the state’s courts have become an important part of that system. Soon after the killing, five US Senators and seven members of Congress wrote a letter to Barack Obama in which they condemned Hun Sen for “using politically controlled courts to facilitate these land seizures and bolster his unpopular rule”. Horrific crimes have been inflicted on Cambodian citizens in order to facilitate the transfer of land and resources to well-connected companies. On September 15, the International Criminal Court, or ICC, announced that it now considers crimes associated with land grabbing and environmental destruction as falling within its mandate. In a policy document released by the Office of the Prosecutor it outlined its position that where these crimes were sufficient in gravity and scope, they could be considered crimes against humanity, one of the three pillars of the court’s mandate. The ICC’s decision raises the prospect that senior politicians and even businessmen operating in states like Cambodia could face prosecution at The Hague, away from the courts over which they exercise control, with the harm they have inflicted afforded parity with genocide and war crimes. But in a world fraught with major human rights violations, and significant constraints facing the ICC, what are the prospects of a prosecution for land grabbing or environmental destruction? And while the victims of the Cambodian kleptocracy wait for their day in court, might the decision have other meaningful impacts? 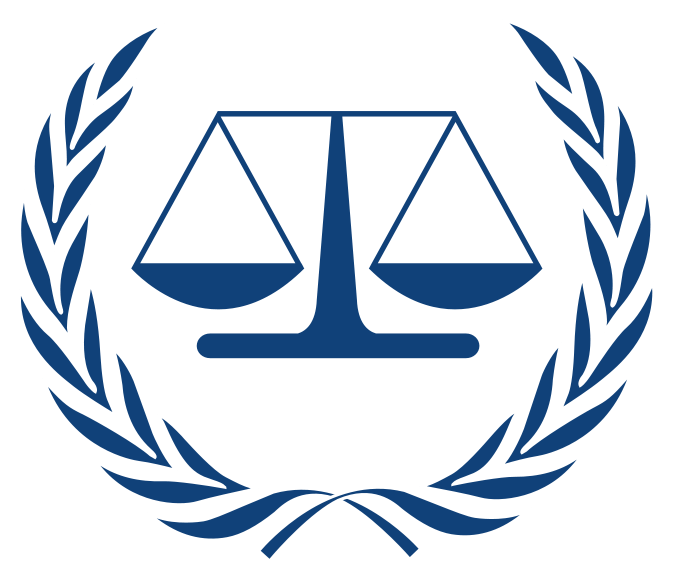 The mandate of the ICC was set down by the Rome Statute, the 1998 international agreement that gave birth to it. The aim of the court is to end impunity for “the most serious crimes of international concern”, in the words of the Office of the Prosecutor (OTP), and these are broadly defined as genocide, war crimes, and crimes against humanity. The September decision has not altered that mandate, but instead reflects an evolving and transparent decision-making process that determines what the court can and cannot address. The OTP has a remit to seek out “situations” that fall within that mandate. It may not immediately seek specific cases or subjects for prosecution, but instead look more broadly at situations within which it may find a number of cases. It carries out an initial assessment to assess seriousness, and filter out crimes outside its jurisdiction. If appropriate, it will open a preliminary examination, which will continue “until the information provides clarity on whether or not a reasonable basis for an investigation exists”. The Prosecutor can continue its preliminary examination indefinitely. The September paper sets out the policies that guide the OTP in its selection and prioritisation of cases that make it to the next stage of the process — investigation and prosecution. It is in this context that it revealed it would “give particular consideration to prosecuting Rome Statute crimes that are committed by means of, or that result in, inter alia, the destruction of the environment, the illegal exploitation of natural resources or the illegal dispossession of land”. The seeds of deforestation in Cambodia were sown during the country’s longstanding civil wars, stretching back to the 1970s. Warring factions on both sides used the sale of timber to finance the fighting. When the Vietnamese occupied Cambodia in the 1980s, its advisors identified timber as the country’s most valuable resource and number one economic priority leading to an increase in timber sales, especially in the latter part of the decade. However, war and isolation also spared Cambodia’s forests from the attention of the large-scale logging interests that destroyed much of the forests elsewhere in Southeast Asia during the same period. As a result, when the country opened its doors to capital investment and international business interests after the Paris Peace Agreements (PPA) in 1991, much of its forest was still intact. The pace of deforestation quickened with the export boom in the late 1980s and continued as logging became critical to both sides of Cambodia’s fraught peacetime coalition from 1993. When the Cambodian People’s Party (CPP), headed by Cambodia’s longstanding Prime Minister Hun Sen, emerged victorious at the end of the 1990s, promises were made to end illegal logging and rein in deforestation. In 2001, Hun even told loggers in state concessions that if illegal logging did not end “I will cut my own head off”. Instead of his promised self-decapitation however, Hun, now exercising largely uncontested power, ramped up the granting of concessions, especially from 2003, as the CPP carved up the country’s land for private investment in the form of Economic Land Concessions (ELCs). ELCs are contracts permitted by the Cambodian Government to another actor to use state land for a fixed period. The ELCs are principally for industrial-scale agriculture, for commodities including rubber, sugar or other cash crops. In the process of allocating land as concessions, large swaths of Cambodia’s land have been reclassified as state private land, even when it previously existed in protected areas or where there is evidence that it has been farmed consistently for decades, contrary to Cambodia’s 2001 Land Law and Sub Decree 146 on Economic Land Concessions. By 2013, the area of land allocated under this model had reached 2.6 million hectares, more than ten per cent of the entire country and encompassing national parks, protected areas and rural people’s land. The area had quadrupled since 2004, when the ELC boom began in earnest. Though Cambodia’s legal framework is complex and conflicting, there is considerable evidence to suggest that the majority of concessions have been issued or developed illegally. Concessions have started without Social and Environmental Impact Assessments, before contracts have been signed, and have led to the felling of protected tree species. Many companies have been allowed to retain concessions despite failing to develop them within the allotted time period. There is also evidence that they have been used as a vehicle to circumvent a nationwide ban on logging concessions, with companies clear-cutting forest with no intention of developing plantations. The impact of this development model on Cambodia’s forests has been enormous. Although there is “no legal framework to justify or support the allocation of forest land to concessions”, by the end of 2013 an estimated 80 per cent of ELCs were located within production forests or protected areas, which retained forest cover. In all, this represented a fifth of the country’s forests. This was likely the single leading factor in Cambodia’s soaring rate of deforestation. From 2001 to 2015, the rate of deforestation in Cambodia increased at a faster rate than any other country in the world. Even ostensibly protected areas are not safe: more than two-thirds of the concessions issued during 2012, for example, encroached on national parks and wildlife sanctuaries. The land grab has had a commensurate impact on Cambodia’s impoverished rural population. Concessions have been forcibly acquired by evicting rural and indigenous people from their land, often violently. The case of Heng Chantha was not an outlier. It has been estimated that 700,000 people — six per cent of the entire population — have been impacted by “mass forcible population transfers”, and those who have resisted have been murdered, imprisoned, or persecuted. Indigenous groups who make their living harvesting forest products have been forced out of the forest and onto cleared land, fundamentally changing their traditional ways of living. Homes and crops have been destroyed. There is very little opportunity for redress in Cambodia’s current political and judicial climate. Complaints are rarely addressed by the courts and when they do rulings routinely go in favour of the wealthy and politically connected behind the land grabbing. Those who are brave enough to bring complaints to the courts, either as victims or NGOs acting on behalf of victims, have faced criminal charges for doing so. The potential for courts outside Cambodia to step in where the those within it had failed was raised in an unusual case brought in the UK in 2013. A sugar concession in Cambodia’s South-western Koh Kong province had been the site of numerous alleged rights abuses since a private militia cleared the land for planting in January 2010. Workers who subsequently found employment at the sugar concession were subject to low pay and poor working conditions. The sugar was bound for various importers, including UK-based sugar multi-national Tate & Lyle. The international lawyers who advised on the case deemed the Cambodian courts so corrupt the case was reframed as an international commercial deprivation. In March 2013 more than 200 Koh Kong farmers filed a claim to the UK courts against Tate & Lyle for “unjust enrichment.” The case has since settled in a complex arrangement, demonstrating that courts outside of Cambodia can be effective in providing some redress to Cambodians who have not been able to find this at home. One of the key questions related to complementarity: the principle embedded within the Treaty of Rome that the court is intended to complement, not replace national legal processes. “The burden is on the local government first to investigate any grave crimes and to take action,” says Moorstein. “[But] if it refuses to do so, the ICC prosecutor’s office has the right to go forward”. In October 2014, Richard Rogers of the public-interest law firm Global Diligence submitted a communication to the OTP, contending that “widespread and systematic land grabbing conducted by the Cambodian ruling elite for over a decade amounts to a crime against humanity”. It alleged that the government and business leaders had subjected civilians to murder, forcible transfer of populations, illegal imprisonment, persecution, and “other inhumane acts” with “the twin objectives of self-enrichment and preservation of power at all costs”. Rogers argued that it fell within the jurisdiction of the ICC due to the scale and gravity — with more than 700,000 people affected by land grabs and 145,000 evicted from the capital alone. Though the court had no precedent of addressing land grabs, Rogers noted that it had taken on crimes of deportation and forcible transfer during its investigations into the situations in Darfur (Sudan), the Democratic Republic of the Congo, and Kenya. The forcible evictions by the National Police, Royal Gendarmerie, and the Royal Cambodian Armed Forces, to allow land grabs to take place, were cast in the same light. Though the ICC had principally focused on crimes associated with armed conflicts, the “crimes against humanity” aspect of its mandate did not obligate it do do so. “The systemic crimes committed under the guise of ‘development’ are no less damaging to victims than many wartime atrocities,” Rogers told IDM. How will the ICC find its case? The Prosecutor had an obligation to carry out a preliminary examination into the information received, evaluating whether the situation falls within the court’s mandate. It can do so without the consent of the Cambodian government on the basis of its proprio motu powers. Regulations guiding the Prosecutor dictate that its investigations should be targeted towards those most responsible for identified crimes. This does not necessarily mean the highest official within a given hierarchy (it is determined on a case-by-case basis), but does raise the prospect that investigations would target the very highest levels of the Cambodian government. The warm reception granted to the ICC’s decision by the human rights community is overshadowed by broader, even existential, challenges facing the court. This month three African states withdrew from it on the basis that it was biased against the continent. It remains under-funded, and does not suffer from a deficit of grave crimes to consider. While they await prospect of an arrest warrant or an indictment, Rogers believes this could have the effect of significantly changing the behavior of both the Cambodian kleptocrats and the private sector. Moorstein, whose expertise is in commercial and land law, suggests that it could have a chilling effect on the private sector, albeit in a different way. He believes that while companies at the sharp-end — those that might fall within the scope of an ICC investigation — will adjust their behavior in response, it could also promote far more stringent due diligence down the supply chain. “There has been the development of ‘supply chain liability’, addressing the obligations of companies up and down the supply chain for assuring that products do not come by illegal means,” he said. “For example, using the [Koh Kong] sugar cane case, if parties know or should know that the sugar had been taken illegally, the downstream users may have had liability. This could entail not only civil liability, but potentially criminal liability if the acts had been egregious enough. On the nearer term, internal politics will play a decisive role in whether plantations continue to expand in Cambodia. Hun Sen was forced to put a halt to the deeply-unpopular ELC process a year before the 2013 election, to secure a closely-fought victory. A moratorium was announced in May 2012, coupled with a student-led land-titling scheme for rural farmers. The moratorium immediately drew criticism for failing to include ELCs already under consideration or addressing the problems associated with pre-existing ELCs. It has since been criticised for failing to include land grabbed by the well-connected in military or business. The student land titling scheme likewise came under fire, derided as a politically-motivated and ineffectual stunt aimed more at recruiting youth to the ruling CPP than addressing Cambodia’s land crisis. With so much land already under title, particularly within Cambodia’s forests, securing the revocation of existing ELCs will be key to ameliorating the impacts. Numerous latent concessions can be cancelled, and the government has made a show of doing so. In February Hun Sen claimed the area under license had been reduced to one million hectares and pledged that just short of one million hectares of re-apppropriated land would be granted to “poor families”, according to the Cambodia Daily. Cambodia has another election in 2018. These are expensive for the CPP, which has in the past relied on donations by tycoons linked to ELCs and infrastructure projects carried out in the name of the party to win support at election time. But the policies initiated before the previous election denote Hun’s cognisance of the impact of the land grabs. And the decision of the ICC could act as another factor deterring further land deals. The next moves of both the Cambodian government and the ICC will be watched keenly not only by the human rights community. An investigation into the Cambodian situation — and ultimately a case — will have repercussions for the exercise of control over land across the world. Though the Cambodian case is well-evidenced and meets many of the criteria to fall within the jurisdiction of the court, it is far from the only prospect. At the beginning of this month, the President of the Ivory Coast announced that farmland would be afforded constitutional protection, an announcement a local media outlet interpreted as “sending a strong signal” to multinational agribusinesses in the wake of the ICC’s decision. Across the global south, and particularly in forested countries, agricultural expansion is targeting areas with insecure land rights. Where corruption comes into play, and the apparatus of state are mobilised in support of the private sector, a similar story is being played out to that in Cambodia. On the longer term, the decision of the ICC could be seen as one aspect of a much-needed transnational, legal response to the illegal land grabbing and illegal deforestation crisis.